DR Instruments is a great source for healthcare utility carts, medical carts and OR carts. As a major distributor of a U.S. based manufacturer, we supply hospitals, clinics, spas, schools and businesses a full range of healthcare carts, medical equipment carts, home use carts, school-lab use carts, and healthcare furniture. 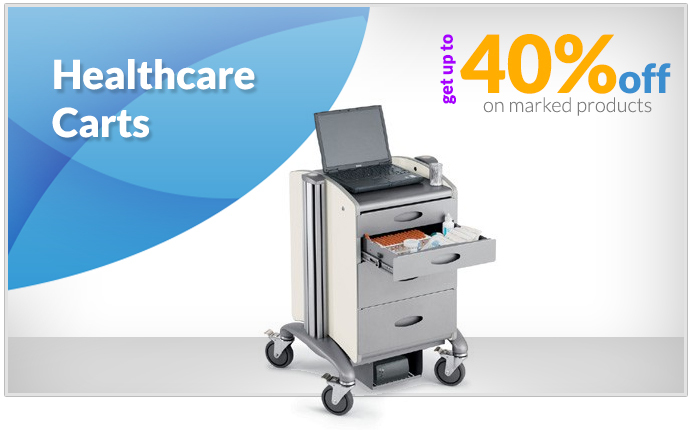 These healthcare carts are some of the most popular point of care carts favorite in medical facilities. We also offer Security Carts. Security carts protect expensive equipment, documents and peripherals on the go! We also offer Power Supply Carts for retail, warehouse and inventory management applications. We accept Purchase Orders from healthcare institutions, educational institutions, and businesses. Double Door/Double Lock Narcotic Cabinet - Autumn White!